A new study is raising concerns over the military’s screening process of recruits and assessment process. The study, the largest of its kind ever conducted to assess mental health in the U.S. military, concluded that approximately one out of every five soldiers suffers from a common mental illness. The rate is much higher than that of civilians. The study found that a high percentage of soldiers suffered from mental illnesses such as depression, panic disorder, and ADHD before enlisting in the Army. Additionally, nearly one in ten soldiers had suicidal thoughts prior to enlistment. 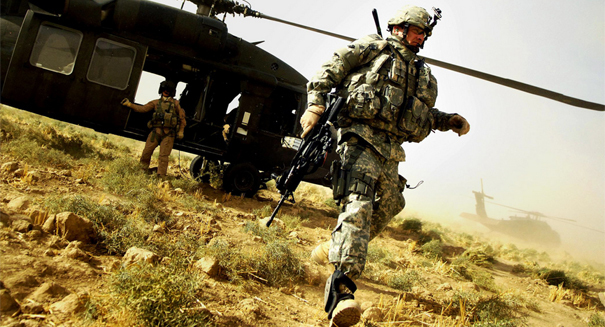 Approximately 1.1 percent of soldiers had a previous suicide attempt. Researchers gathered data from 5,428 soldiers at Army installations throughout the nation using confidential surveys and interviews. The findings, which were recently published in JAMA Psychiatry, highlight a weakness in the army’s recruiting process. During the application process, soldiers are asked about their psychiatric history. Individuals who suffer from certain psychiatric disorders, or who previously attempted suicide, are generally banned from the service. Harvard University sociologist and senior author of one of the studies, Ronald Kessler, said the study raised a number of questions. The studies were started in 2009 by the Army and the National Institutes of Mental Health in an effort to figure out an increase in suicides among soldiers. The multi-part study found that between 2004 and 2009, the annual suicide rate among soldiers more than doubled to more than 23 per every 100,000. During the same time frame, nearly 569 soldiers died from suicide. Matthew Nock, a psychologist at Harvard University and a lead study author, believes that rather than deter applicants with a mental illness from applying, the Army should improve its screening process and offer treatment for those who disclose a history of mental illness.